The use of forest biomass is increasingly gaining on importance and popularity as an energy source. 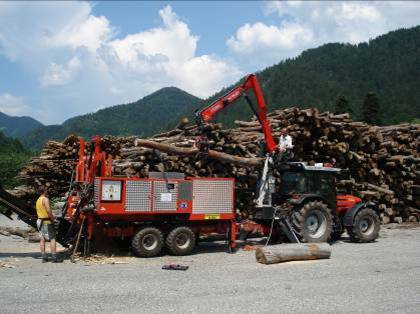 This project recognised the potential of Styrian forests as suppliers of wood and enhanced farmers' cooperatives to produce this alternative fuel. The market for wooden chips and firewood operated in an informal setting with very limited organisation. This led to an insecure supply with a limited accessibilty on the market. This product was thus not available for people opting to use wood combustion and was only limited to people who either owned forest land or those having links to forest owners and wood producers. Therefore, the re-organisation of the market together with the required facilities and equipment were required. 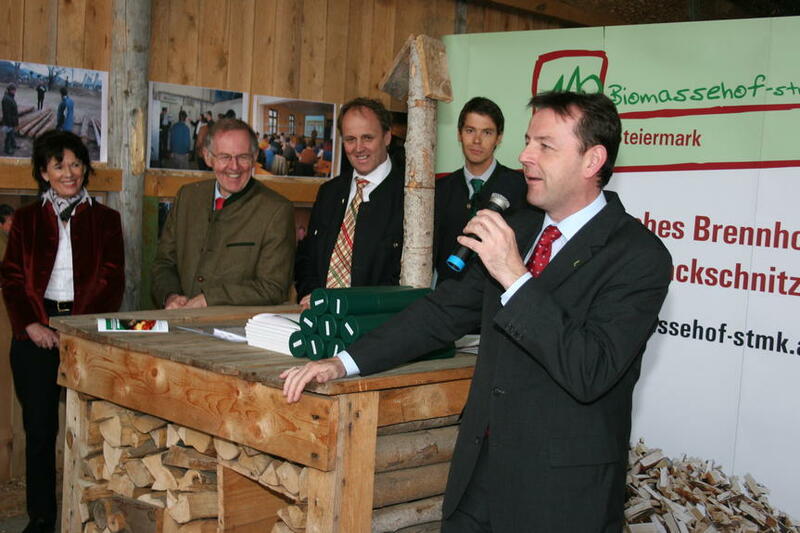 This scope of the project was to i) contribute to the diversification of the energy supply in the Styrian regions by consolidating regional biomass farms ii) promote the use of bio-energy and reduce the dependency from external energy sources; iii) enhance the local economy by creating new job opportunities, create new sources of income and niche market opportunities for the local community. The main activity consisted in the erection of a warehouse that was complemented with a drying system (cold air through perforated ducts) for the drying of logs and wooden chips. The product can be purchased directly from the Biomassehof facility or alternatively delivered directly to the customer. Further activties included the promotion and marketing of bio-mass use and its contribution to energy prodcution in the region. 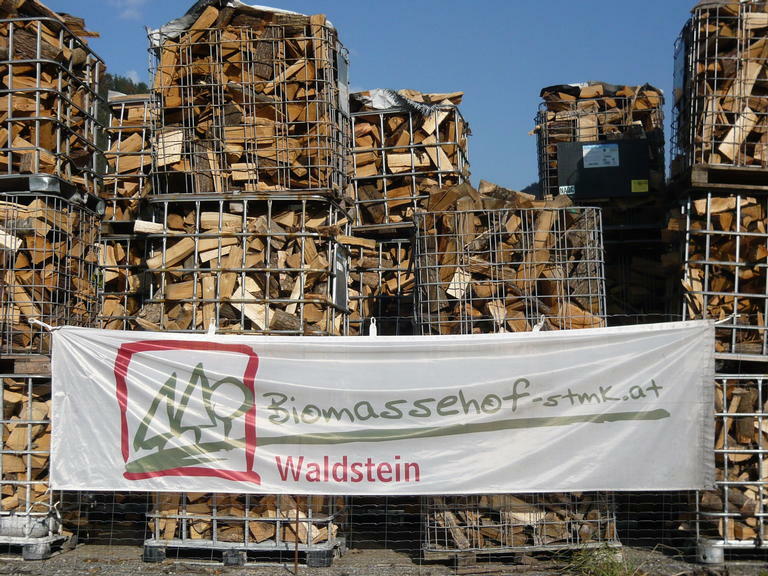 The Biomassehof Waldstein facility opened in 2007 and until 2010 it sold about 7,000 cubic meters of wooden chips and 400 cubic meters of firewood. It is run by a farmers cooperative employing 60 forest farmers, utilising approximately 2,200 hectares of forest. Customers that benefit from the cooperative's products include commercial businesses, catering companies, biomass-heat providers, and private user of wood heating systems. 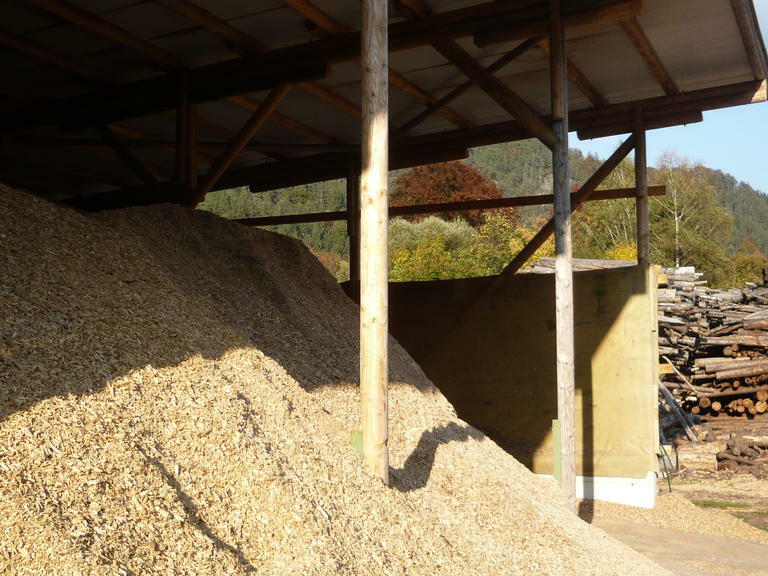 The biomass farms are increasingly gaining on importance as professional fuel suppliers in Styria. Particular emphasis is placed on the quality of the marketed bio-fuels. In addition the consolidation of operations through a farmers organisation facilitated the management of resources and streamlined the overall operations into a sustainable enterprise.